Hi, my name is Erwin. I graduated with a master degree in Education at Semarang State University Indonesia. I live in the world's city of Batik, Pekalongan. It is located in Central Java, and is a hub for Indonesian culture. About 1 hour from Semarang airport (the capital city of central Java), it is in the ideal location to get to and travel from. I am a founder of an organization, which aims to train the local communities and rural villages not only in language, but also Computer - Preserving our cultural heritage whilst improving education. I normally stay with either my brother, parents or in my own home, which is where you would stay if you come and help us here. I invite you to teach and motivate the students and communities about other cultures, whilst learning some of our own. The students here like to learn other languages, especially English, and we need inspirational characters to teach them not only the language, but also that they need to work hard throughout their education, and achieve great things. You have the chance to be involved in many cultural activities; Batik class in the Batik Museum near here. You can learn how to create Batik in the home of this beautiful art style. Batik cultural heritage was officially recognized by UNESCO. You can learn more about types of coffee such as Arabica, Canephora, Excelsa, and civet coffee from farmers in a coffee plantation located in Tombo Village. Tombo coffee is a small, isolated coffee shop in the nearby mountains, the owner of which used to wake up at 5AM and go to sleep at 2AM, just so he could sell his coffee here, but then he decided it was much better if the coffee was tasted where it came from - in Tombo. You can learn Gamelan, the authentic Javanese style of music and, if you feel inclined, the traditional dancing that accompanies it. For your downtime, there is an abundance of cultural attractions nearby that you can visit; Pagilaran Tea plantation, Tombo coffee plantation, Beach, Batik Museum, Borobudur temple (the biggest temple in Indonesia), Prambanan temple, Dieng Plateau, a beautiful waterfall, traditional arts, and many many more. Please get in touch if you would like to inspire, teach and motivate the local children, exchange cultures, and visit some truly incredible destinations along the way. We look forward to welcoming you into our home. while living here, I will accompany you to see the real Java. Living with a Javanese family you will be welcomed into the family, eat our traditional food, (western food is also available, should you prefer) listen to our music, (gamelan) and adopt our way of life as much as is comfortable for you. You will be involved in an invaluable cultural exchange, and take away many heart felt memories, and leave behind inspired children and a taste of your culture. 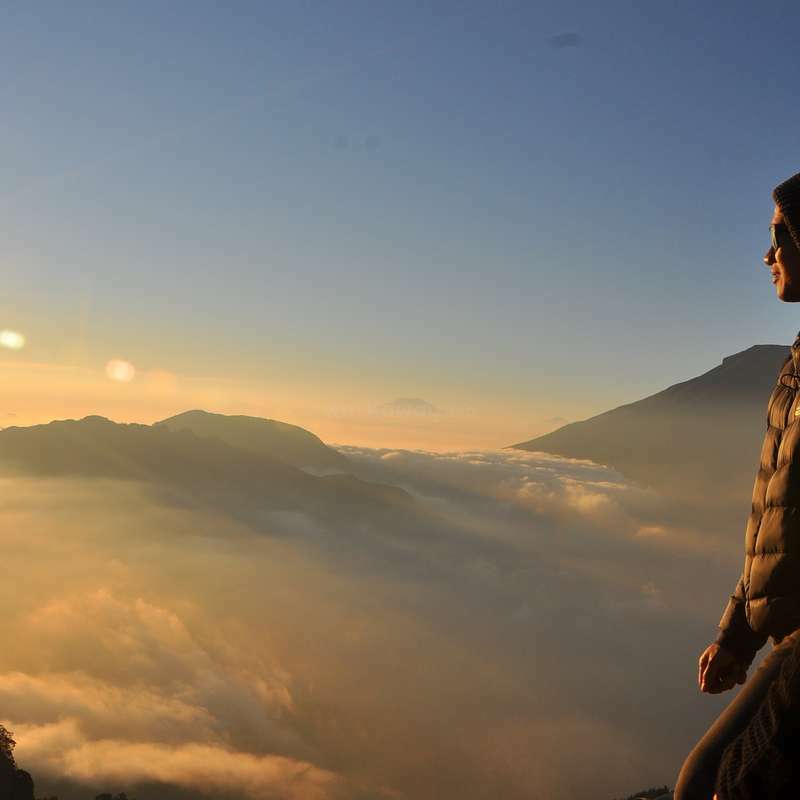 You will also witness some of the most breath taking terraced scenery in the Java in visiting the surrounding mountains. The Dieng Plateau is a must see, with its stunning 2 or 3 hour drive to get there, and then the sulpherous coloured lake, volcanic crater, various temples and stunning terraced scenery. You will be required to teach English to students and time to relax and visit the beach, and other nearby attractions during the week. 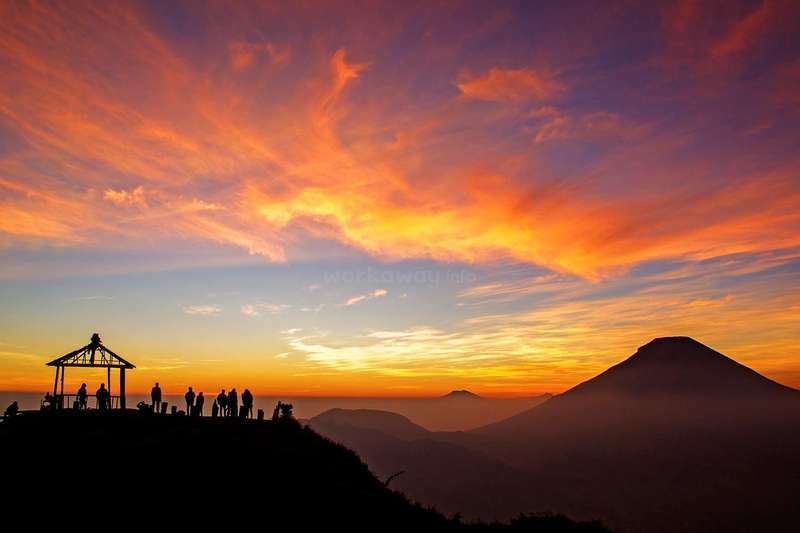 You will visit some tourist destination in Central Java on the weekends. The level of English does not require previous teaching experience, or any teaching qualifications, just that you can be patient, and speak clearly and slowly to help the children. 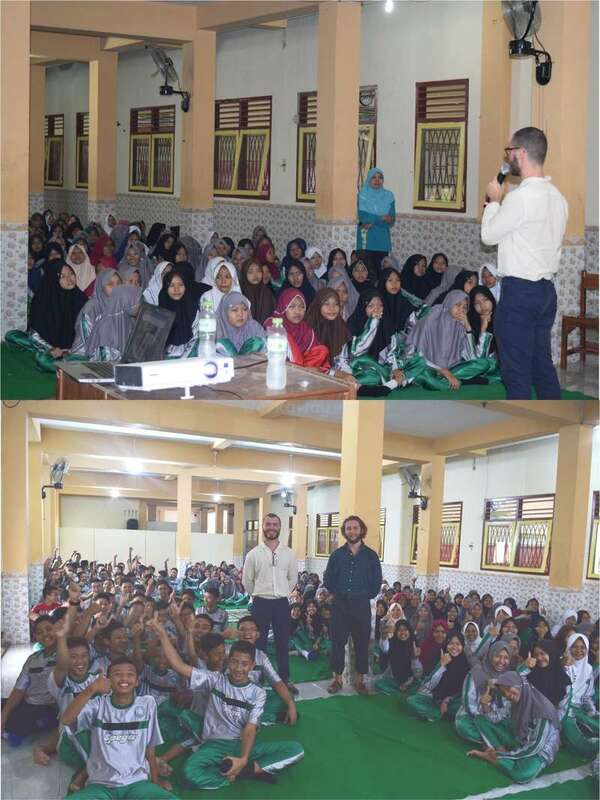 Besides from teaching English in the classroom, you may be required to give presentations in front of the local schools with a PowerPoint on a cultural exchange. 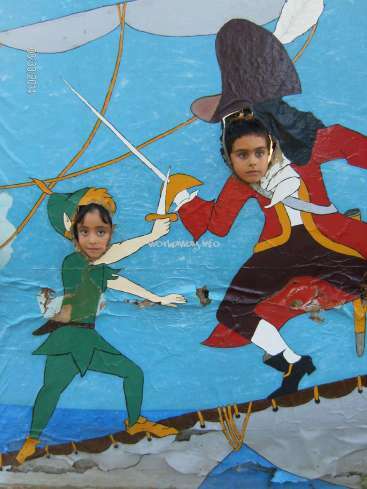 This helps to motivate and inspire the children, so that they might be driven to achieve great things. my brother and Jack are enjoying the coloured lake. 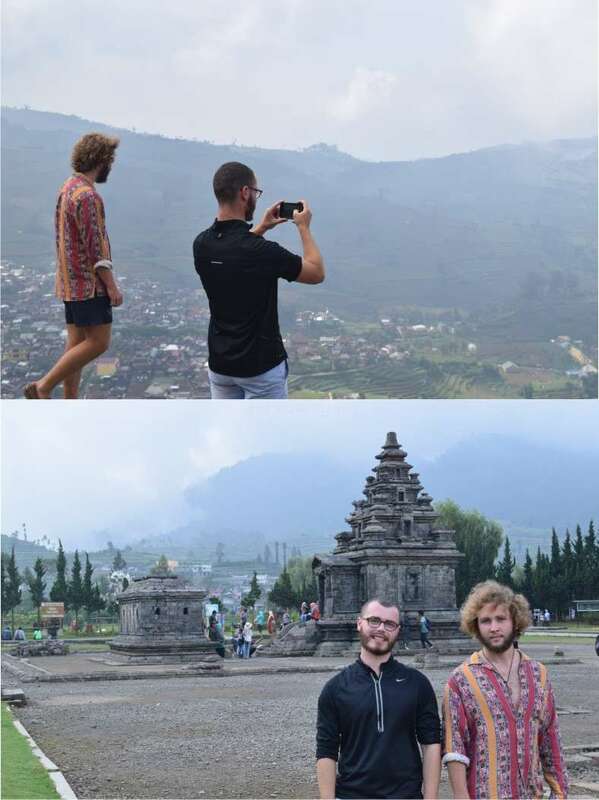 the second picture is Jack and Felix are in front of the volcano crater in Central Java. The workawayer and my family are enjoying the scenery and swimming in Dieang plateau. Thank you so much for helping me, Maria. It is a very amazing experience to work together with Maria. She is a diligent person who always does the great job to teach the students. She is very communicative person who always spend time to chat with my family members. While she was living with my family, She tries some Indonesian foods and she liked… read more them. She joined some Javanese traditional celebration and visited some places in my town as well. For those who will work together with Maria, I highly recommend her to be part of you project. Wow, what can I say about my experience here!? I can’t recommend Erwin and his family enough for volunteering and a cultural exchange. Over the 12 days that I was there, I was so well looked after (I ate more than I never normally would! ), was welcomed into the family and I experienced and learnt so much about Javanese culture. I wish I could have… read more stayed longer! But I now have Javanese family! Working with Nare was a very amazing experience. She helped me a lot with the English training project. She has some brilliant idea to improve the organization better. She is well educated. She taught the students very well. She had tried a lot of Indonesian food and she liked it. She liked to visit beautiful places here. Overall, I give her 5… read more stars for her because she did a very very good job. For those who will work with her, I highly recommend to accept her to be part of your project. I stayed with Erwin and his family for one week and it was AMAZING. I loved my stay in Batang and highly recommended it to everyone. The minute I arrived, Erwin, Ana, and Erwin's parents made me feel right at home. They were incredibly generous and welcoming. Mother fed me delicious homemade meals and snacks everyday. 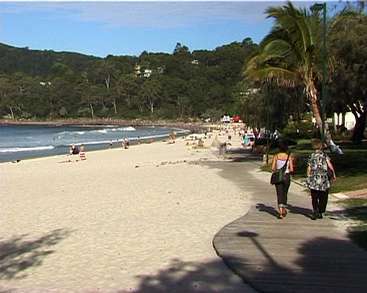 On the weekend we went to the… read more beach, forest, and tea plantation, which was my favorite. I really enjoyed getting to know mother and father and using google translate when we couldn't understand each other. They were wonderful. I'm so grateful that they spent all that time with me. During the week, Erwin took me to the Batik museum and mother took me to the batik market as well. I also really enjoyed playing with Nyla, Erwin's niece. During the weekdays, I worked with Erwin to teach the classes. The students were enthusiastic and very respectful and incredibly cute. The English levels varied but it was fun trying to get them to talk English. The adults were the most advanced class which I enjoyed the most cause it felt like we were just hanging out. Staying in Erwin's family and helping him out in his English institute was an amazing experience for me and my boyfriend. Erwin and all his relatives are extremely friendly and were always caring whether we have got everything we could possibly want. When we weren't in the school they accompanied us to many places of interest like tea plantations… read more or a beach where we were chatting all the time and had a lot of fun. Also, Erwin provided us with our own motorbike so we could explore the surroundings by ourself and it made the way to the school shorter, as well (it wasn't far though). Being hungry at least for a tiny while was absolutely out of question because we were supplied not only by the 3 main meals but also by little snacks nearly every hour all day long. We loved it, by the way. Erwin and his lovely wife Ana, took us to restaurants nearly every evening and they made sure we try all indonesian food that we haven't tried before. Teaching English in Erwin's Seattle Institute was fun because the students were eager to learn and we could see they were excited to have some foreigners to talk to. The level of English was different in each class because students ranged from small kids to young adults. We particularly enjoyed lessons with the older students because their English was good enough to have some simple conversation. 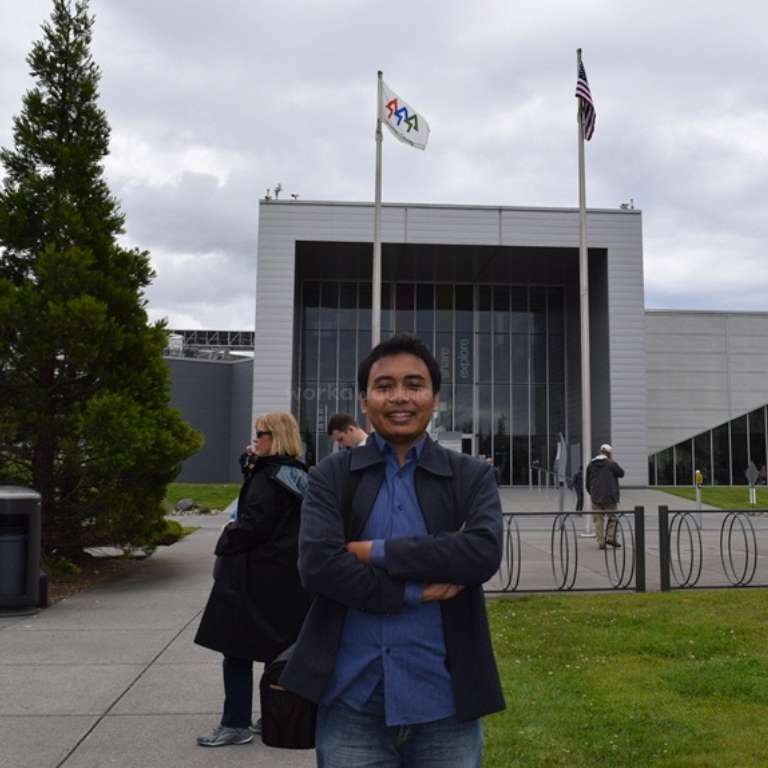 We really admire Erwin's determination to educate local people and help them with learning English so they can apply for a good job or university. Erwin is really making a change in his hometown Batang and we loved to witness it and even participate on it. We take as a great honour that Erwin chose us to be part of his family for a while. We wish good luck to Erwin in the national competition and hope he will come together with Ana and their baby to Europe soon where we will show them the beauties of the Czech Republic as a thank you for how nicely they took care of us in their own country. Thank you Ben, for staying with us. We learn a lot about English culture. I hope we can meet you again someday. You are very kind. You have told me a lot of different cultures that I need. You told me about education in Oxford which is my dream to visit there. My family also say thank you especially, my mother, who always ask about you. This is an experience that I would recommend to anyone. The teaching is great fun and Erwin will ensure that you embrace the local culture as well as showing you some of the beatiful countryside and tea/coffee plantations. Erwin and his family are extremely welcoming and generous, and make sure that you never go hungry, as well as always keeping… read more you entertained. A huge thank you for an amazing experience! Thank you so much for the great experience. The family is amazing. So giving. People truly from the heart. Great place to experience the Central Java lifestyle and food. Oh and food be ready to eat and try new things! Erwin and his family go above and beyoned to provide a great workaway experence. I donˋt even know where to start. The 20 days I spend with Erwin, Ana and their lovely family have been unbelivable! Right from the start, they made me feel safe and at home. I donˋt think I would have fallen in love with Indonesia as much as I did, if it wouldnˋt have been for them. They showed me the rearl Javanese lifestyle, traditions and food… read more ( which is enak = delicious!). 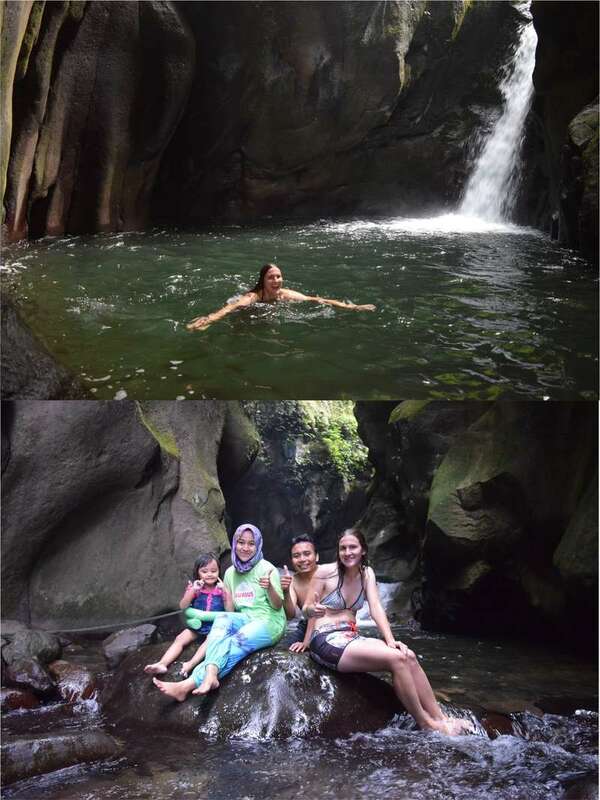 During my time in Batang his mom took me to markets and bartik shopping, I went swiming with Ana and Erwins father, we went to the big Waterfall, tee plantation, tombo coffe place, the Bartik museum and even a wedding. Teaching the children was a lot of fun and easy, since Erwin has worksheeds prepared. I especially enjoied teaching the adults course in the evening. I still feel my cheeks hurting from all the good laughs we shared in that classroom. Thank you so much for always taking care of me and for giving me this great experience! This experience was one that I would recommend to everyone. Most amazing people with hearts of gold. Erwins whole family are just the most incredibly generous and loving people. Jawa has so many diverse hidden treasures. We went to the waterfalls, tea plantation, coffee plantation and the markets. Two weeks wasn't… read more enough! A huge thank you to Erwin, Ana, ibu, bapak, Fila, Andy and there beautiful children. We had an amazing two weeks here experiencing the real Javanese culture. We stayed with Erwin, Ana, and Erwin's parents who were all extremely kind and helpful, cooking every meal for us and also helping us to extend our visas! 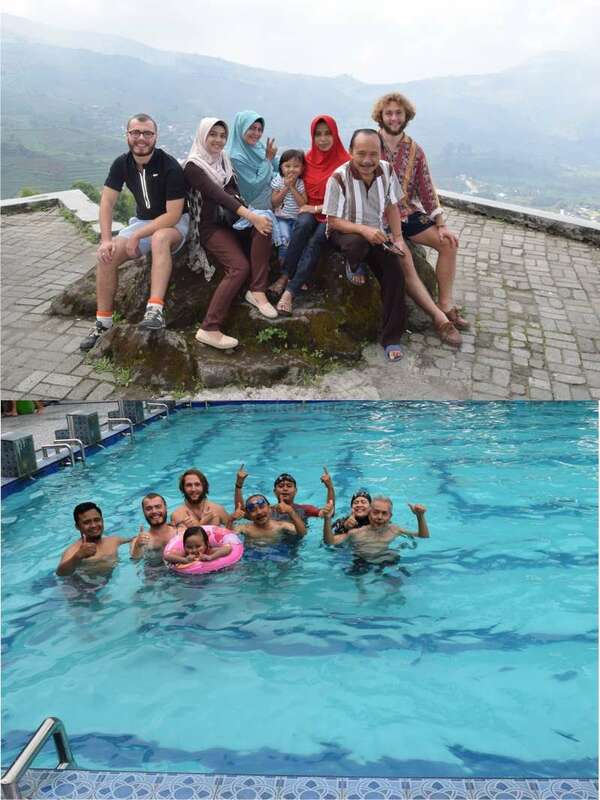 While we were here we tried every local dish, visited the batik museum, the beach, the markets, and the tea plantation,… read more and also went swimming with Erwin's father! Erwin made sure we got to experience the real way of life here. We were also involved in Ana's brothers wedding which was a truly amazing experience for us, and a real insight into the culture and traditions here. We both thoroughly enjoyed the teaching, and Erwin provided worksheets for the classes which made it very easy. The students are so enthusiastic and eager to learn, and all of the local children want to practice their English with you. We cannot thank you guys enough for your kindness and generosity over the last two weeks! Thank you, Mac, for your time spend with my family and the students. I will never forget your kindness. Mac is very good to teach English. She helps me to teach the students. She has a very good way to train the students to speak English. She sometimes does the games and another activity. My favorite is speed dating activities. That was a very… read more good activity for the students. She likes to try Javanese food and fruits. She has tried a lot of traditional signatures dishes such as Pecel, Rujak, Megono, and her favorite drink is coconut water. 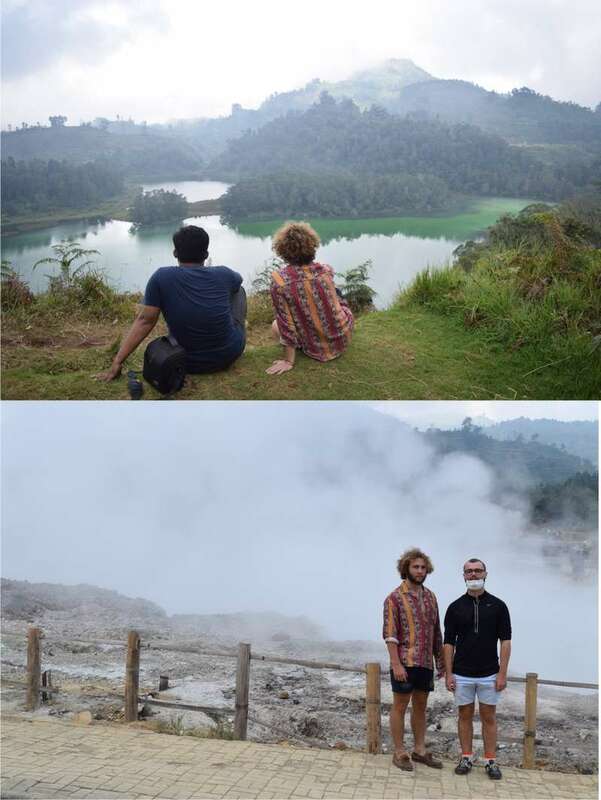 We went to the batik festival and visited some beautiful places such as tea plantation, coffee plantation, plateau, enjoy the sun rises on the hill, colored lake, waterfall, volcano crater etc. This was definitely an experience I will never forget, in the best way possible! Erwin was such a generous and gracious host, even going so far as to accommodate my friend who was travelling with me at the time. We visited markets, ate at the most delicious warungs (cafes), met loads of Erwin's family and friends, and did all sorts of exploring.… read more The work itself was actually a lot of fun; Erwin's students are all eager to learn (sometimes they don't even want to go home after class!) and you'll find yourself laughing and having fun with them in no time. Be prepared for lots of photos! We stayed with Erwin brother, Andy, and then his parents for the last few days. Ana, Erwin's wife, always checked in on us to make sure we had everything we needed, and Erwin would fix any issues we had, "immediately" as he likes to say. Everyone was so kind, and despite being confused by our vegetarian ways, always provided more than enough fruit! Mangos are a favourite between me and Erwin's dad haha. The food was INCREDIBLE; pecel, rojak, mee goreng, and BANDOS just to name a few. Thank you so much Erwin for introducing us to all of those "signature" dishes, and for inviting us wholeheartedly into your family and culture. We had a blast! Campur campur! If you want to be happy, just come here! 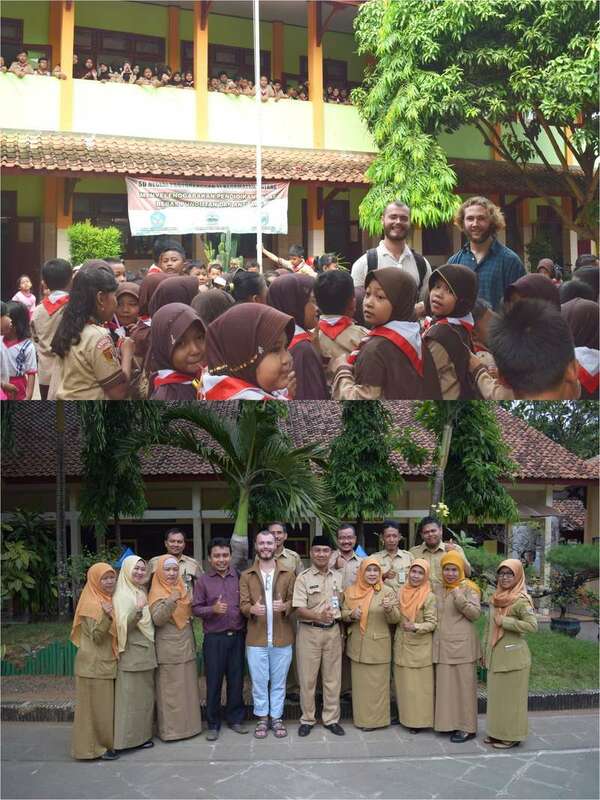 I stayed 2 weeks in Hardi’s project and this time was a gift of Javanese life, discovering of culture and traditions, an exercice for all muscles working with laughing time. In the beginning you will not anderstand everything of the project, let’s follow and enjoy! You will anderstand after being here that… read more you are really rich of Java knowledges and human beauty. I was in Mr Too House, a really nice family! He has a factory of coffee (and an other of nuts but you have to come to discover this one!) We spend long time on the terrasse, preparing the differents beans and speaking about everything and much more, a cup of luwak coffee in one hand and a luwak watching us in is cage. We are going in a lot of different factories: tobacco, coffee, tea, palm sugar, chips with a lot of differents things. Your mission his to work 10 minutes, take pictures with locals peoples, ( don’t forget your smile and your beautifull suit, there is no foreigners in this place and you will have to take pictures all the time!) and drink tea or coffee with tasty local dishes! I worked 2 days, teaching English in school. Students are beginneers so don’t worry if you are not really fluent, just be generous. In the school of Temanggung it was friday, the extra scolar activities day! So lucky! The English group was our guides to visit the classes of: Batik, traditionnal dance, Silah, Gamelan, volley ball… The best way to discover traditions in real life. We are going as well to a radio emission and I hope that you will have to speak about you in Hardi’s emission witch should begin soon! We took a lot of time motocycles or truck to go in amazing places and the way is already a wonderfull experience. We hiked the gunung Sindoro to see the sunrise in the top (take hot clothes!). We went to a waterfall in the montain with monkeys on the way. Mr Curly is now my favorite barista. I know to cook bakwan and fried rice. I love Ronde, cap cay and chicken sate. I feel so lucky to being here for the beginning of my travel. Thank you Hardi !!!! It's a very unforgettable moment for me and my family. We have spent more than two weeks. Jack and Char also attend my wedding ceremony. They wear Javanese clothes at that ceremony. They are expert travelers we have ever met. Jack is a skilfull to ride the automatic motorcycle and they have explored this regency very much. They have tried some… read more signature dishes in Java. Thank you for your time that has spent with us and the presents you give to us. We will visit England soon. Excellent placement for anybody who wants to experience real life Central Java! Both of us had a wonderful 2 weeks staying with Erwin and his family and teaching at Learning centre. We taught a range of age groups and despite only having a limited amount of experience prior to this we were well supported by Erwin and lesson plans were given to us.… read more The main role for a workaway volunteer is to support the lessons and in particular we focused on pronunciation. During our stay Erwin made sure to give us the full cultural experience and you will be sure never to go hungry as you get to try lots and lots of delicious regional foods! We also went to a tea plantation high in the mountains with beautiful views. We spent a lot of time with Andy (Erwin's brother) and his family who are very warm and welcoming. They took us to traditional batik markets, Andy's farm, nearby villages and an amazing waterfall in the middle of the jungle. Due to Erwin's Muslim religion it is worth noting as couples you may be asked to stay in separate houses, we were, and whilst this wasn't a problem for us as they lived close we did not know about it before arriving. It is also worth knowing that whilst you are in Batang you will be local celebrities - everybody and their neighbour wants a photo so it's not a place for people who are camera shy! Overall we want to say a massive thank you for making our stay in Batang one of the most memorable ones in our trip, we will keep in touch and hope to see you all in England soon! Thank you, Lea, for a great time with you. She has taught us to cook France food and we love it. She told us a lot of things about France such as famous places and the people in there. We like playing the board game with you and we hope that we can play again but in France. She is a very friendly person. 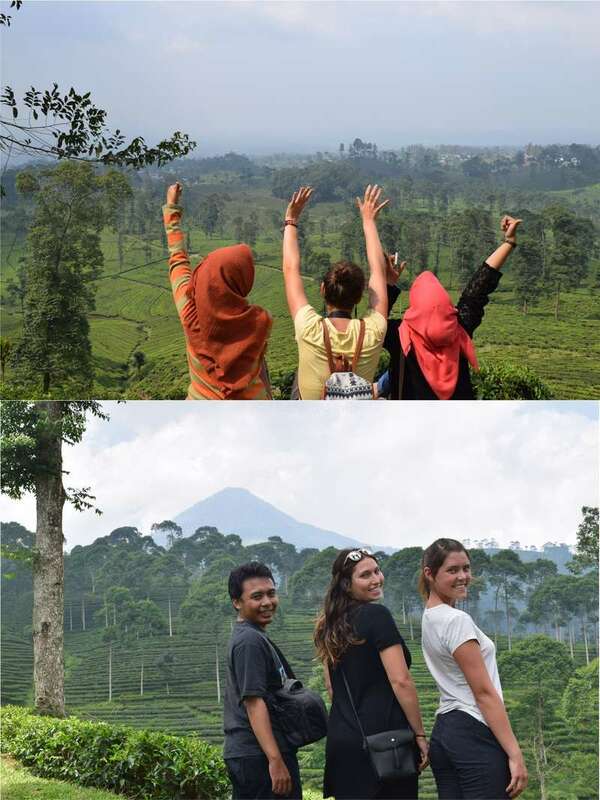 She helped us to teach the students here.… read more She has visited some places in Java and her favorite is the tea plantation and she tries the vegetarian Javanese food. The first thing you maybe think is : is it safe by there? The answer is yes ! I truly recommend to spend some times meeting this family and the students. Erwin's family is very nice and helpful, you will feel as belonging to the family. 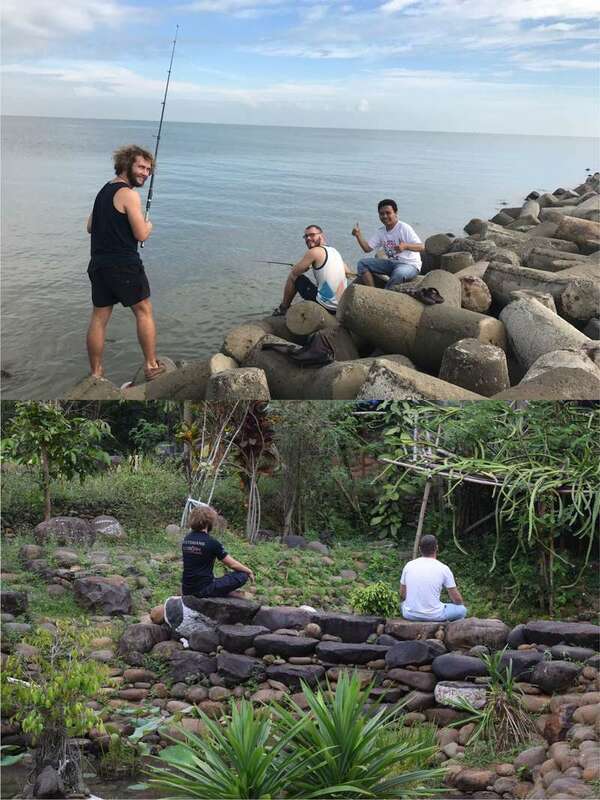 This experience was really rich in learning… read more about the local culture, learning local skills (cooking, making batik..) and see nice views around there. The students are shy but happy to see you, and you help them being confident in what they learn : the best souvenir you can get from somewhere I think ! Thank you so much, Jack. you have done a great work here. Thank you for helping us in our non-profit organization. You have inspired us to learn more about England culture. Jack is a good person. He always does the work on time. His educational background in English Literature is very helpful to create a creative way to teach English and motivate… read more the students. He has done a lot of things here. He eats Indonesian food such as Bakso, Soto, rendang, satay etc. His favorite is Satay. 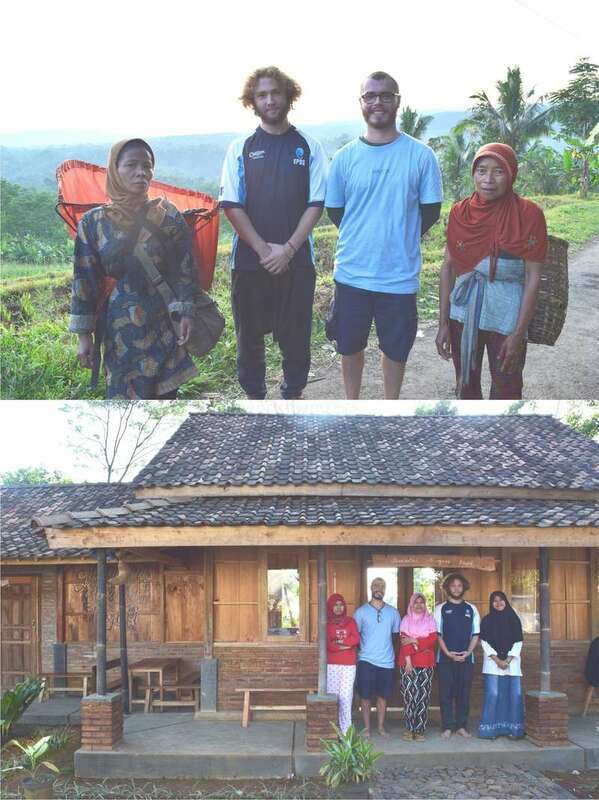 We visit some places in Java such as Dieng plateau, Coffee plantation, Tea plantation, crater, beach, enjoy the beautiful sunrise, living in the village. taste Java coffee, white tea, and green tea. Hopefully, we can visit you also in England. Working alongside Erwin provided us with new and varied challenges and experiences every day. We taught English to a range of ages, from young children to adults but the emphasis was always on the fact that this was a cultural exchange. Therefore, we learnt a lot about Java as we taught the students. There's no need for previous teaching… read more experience as it's mostly sheet work, though there is the opportunity for you to guide the classes wherever you'd like to take them. We stayed with the family of Erwin's wonderful brother Andy. They made sure that we were well fed, safe and happy during our stay. 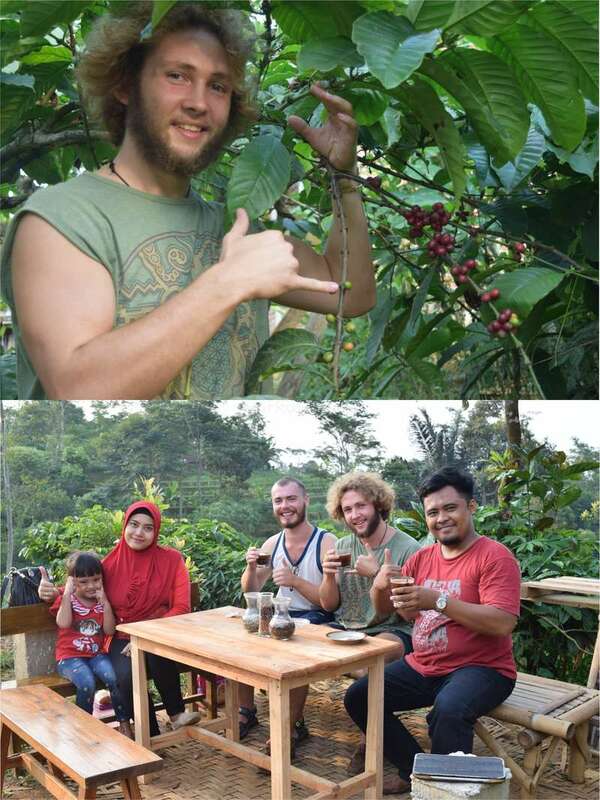 We also got to learn a lot about local life here in Java; from hillside coffee shops to dance performances to all the traditional meals available, I will leave Java having made a real connection to this place and its welcoming, friendly people. Thank you so much, Felix for helping us to learn more about England culture. Felix is a very kind person. He can create a creative way to teach and motivate the students. He has visited some schools, do presentation about culture. He has done a lot of things here. He eats Indonesian food such as Bakso, Soto, rendang, satay etc. His favorite is… read more Soto. We visit some places in Java such as Dieng plateau, Coffee plantation, Tea plantation, crater, beach, enjoy the beautiful sunrise, living in the village. taste Java coffee, white tea, and green tea. I hope, we can meet again someday. Thank you so much, Felix. you are part of our family now. Irwin and his family have been extremely welcoming of me. I have stayed with Andy, Philla and Nyla, their little daughter. Andy is Irwin's brother. From the start I have been fed until I can eat no more, with delicious Bakso, Sambal and Semarang Soto. They have also taken me on some fantastic adventures around the local area. 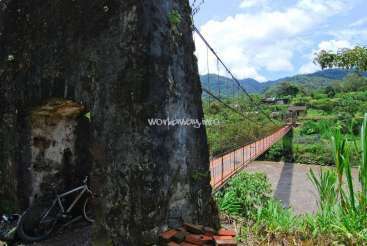 The highlight of… read more which has been visiting Tombo village, and their coffee plantation. 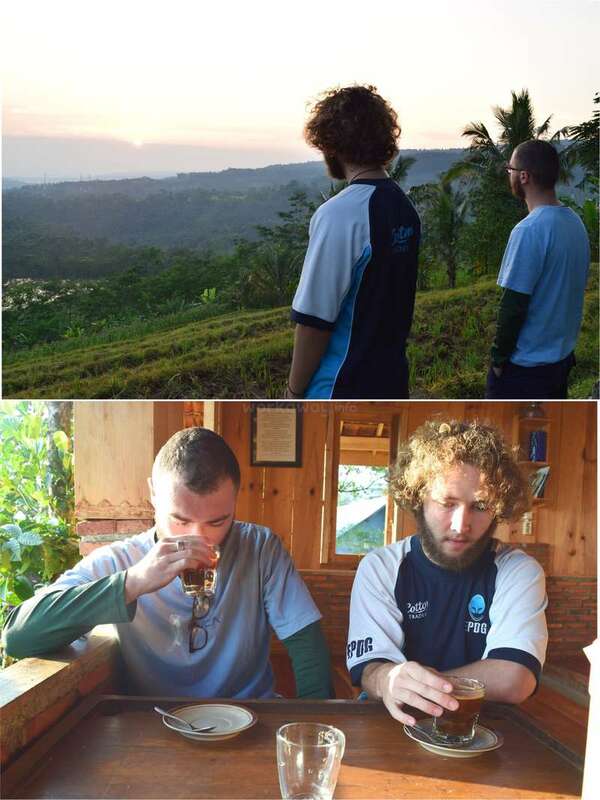 We stayed in a local coffee shop, and woke up early to see the sun rise of rural Central Java. The work has been engaging and fun. In the two weeks I have been here I have seen students gain confidence at Seattle (Irwin's non-profit language school.) The English taught is fairly basic and does not require previous teaching experience...hopefully they will soon require some more advanced teaching. The safety of the area is perfect, no worries there. Overall, I had an excellent stay - I felt at home, and felt i made a change to the students' English. Help with our family runs! Bring your world to our world. 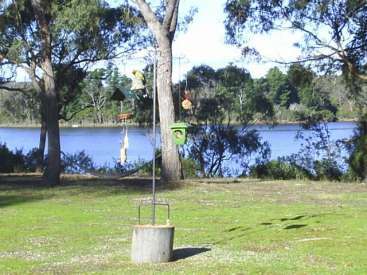 Volunteer with a well travelled couple in Tasmania.